Hannah (nee Tyler) who became known, to avoid confusion with his sister-in-law Hannah (nee Pullen) as Hannah Smith of Rangeworthy. Hannah reached the age of 95; when she died in 1876, Rock Cottage was bought by Charles Hughes. The tenant for 20 years or more had been George Taylor, but he had to vacate the house, moving into the cottage on Tytherington Hill in which Hughes had been living (until recently the property of the Cassell family). 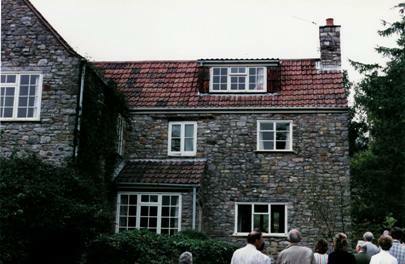 When Hughes died in 1900, his trustees sold Rock Cottage to the Squire, H L Hardwicke, in whose possession it remained until his death in 1935. During this time, there were several tenants. First was John Hanney, works manager at the quarry. His first wife died in 1914 and two years later he married Mary Daniels from Hawkins's. When they moved to Wolverhampton in 1916, Alsey Curtis senior, head groom and coachman to the Squire, moved in for a few years before being granted a life tenure of Malt Farm. Alsey was followed by Arthur Boyt, who had to live in Cromhall after his marriage in 1916, for want of a dwelling in Tytherington; but he and his wife later moved to Porch House when his father, George Boyt junior, died in 1930. Tom Cornock, newly married, then went to Rock Cottage and lived there with his family until 1939 when Newhouse Farm became vacant on the death of William Pullen Cornock, whose housekeeper Mary Stowell then went to Rock Cottage. Meanwhile Squire Hardwicke had died and at the sale of his estate Tom Cornock bought Rock Cottage, for £350. Miss Stowell died about 1965, the house was bought by Donald Gibbon and subsequently changed hands to J Eyre (1969), R Ellarby (1975) and P Gardner (1987). 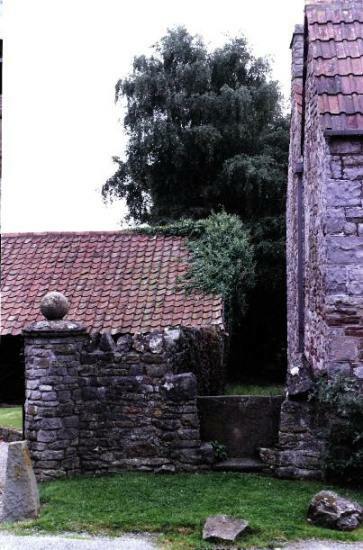 The photograph (right) shows a typical stone stile running alongside Rock Cottage.